A short journey through the olive groves and pine forests to the west of the ancient Roman city of Jerash takes you to the town of Ajloun. Situated about 73 km north of Amman in hilly, fertile countryside, it is the capital town of the Ajloun Governerate. The area is dominated by the 12th century Saracen castle, a fine example of Islamic military architecture, on the apex of a hill overlooking the town. It was built in 1184 by ‘Izz ad-Din Usama bin Munqidh, a nephew of Salladin. From a dominating hilltop position, covering a wide area of the Jordan valley, it protected the trade and communication routes between the south of Jordan and Syria. Its other purpose was being one of a chain of forts which lit beacons at night to pass signals from the Euphrates to places as far away as Cairo. The 12th century Crusaders were known locally as Franks (Faranji). In 1187 Saladin crossed the hills around Ajloun and fought a decisive battle defeating the Franks. It is a fairly prosperous town whose inhabitants are mainly occupied in professional, business, military and governmental work. There are many Christians living here. Outside the town the land is mainly agricultural, with olive trees being the predominant feature. The school was established in 1889 but at that time was not on the present site. In the beginning it was in two small rooms in a house in the middle of the town. On the present site, the first permanent building had three rooms, one of which was quite small. These are now adjacent to the entrance and still in use as classrooms for the Kindergarten. 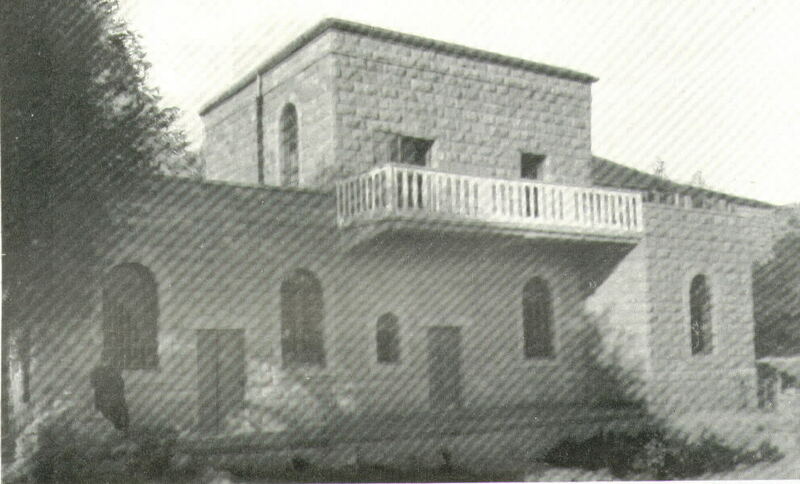 Until the building of more classrooms in 1967, two rooms in the priests house were used for the Kindergarten. 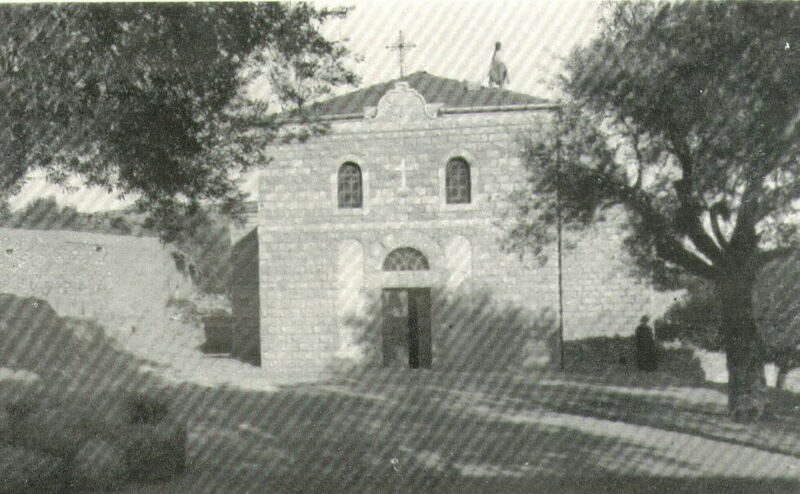 After this, in 1970, the main school of eight classrooms was built, followed in 1995 by the provision of the school offices next to the church. There is a very pleasant, partly shaded, enclosed play area for the Kindergarten but this is in need of re-surfacing then refurnished with new equipment. The present equipment being very old metal frames which have rusted and is consequently too dangerous for the children to use. 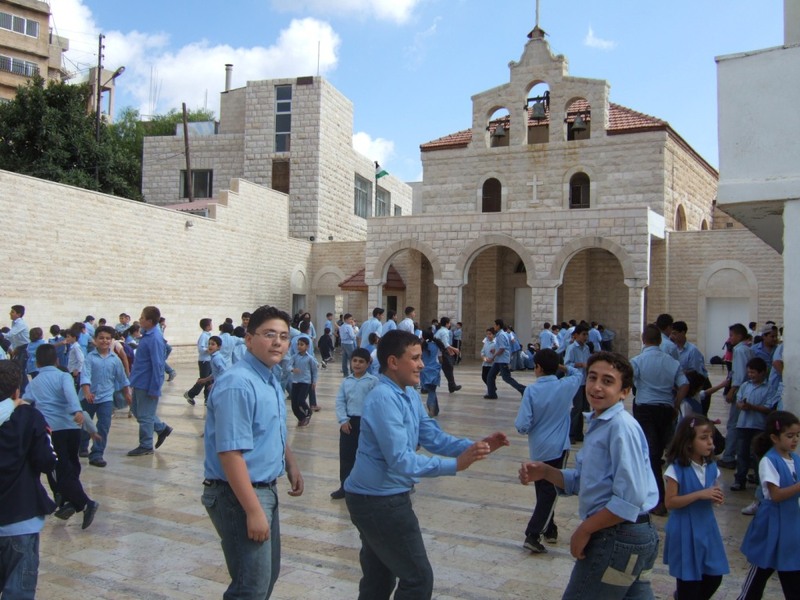 In 2005, a multipurpose hall was constructed behind the church and school. Underneath this, at first, were two rooms and a large irregular space, which was possibly difficult to use because of many construction pillars. This area, on completion of the building, became a very useful play area with shade in the summer and shelter in the winter. The multipurpose hall above is now in use and can be hired for functions, having its own separate entrance away from the main school entrance. Part of the area on the ground floor has since been developed to provide a good sized science laboratory, though this room has not yet been equipped with benches and instruments.. There are fourteen classrooms with only eleven computers in the laboratory, The Science equipment is kept in two cupboards, there being no laboratory, with no library the few books in use are kept in another bookcase in the same corridor. After grade 8 the pupils have to go to either private or governmental schools.